You’re likely already sporting fab new sunglasses and summery sandals, and do a daily slathering of higher SPF, right? But have you freshened up your beauty collection? These tips will get you headed in the right direction for summer. You know that metallic blue liquid eyeliner you’ve been hoarding for 5 years? It may be time to have a think about whether you’re actually going to go all catwalk-chic with graphic liner any time soon. It’s nice to have the option of a pop of color, but there’s quite likely a good reason you haven’t used it since the day you bought it – not every trend suits every person, and if you’re just not keen on it, why not make way for some new pieces that you’ve been lusting after instead? Let’s face it – old makeup is pretty gross. Bacteria is a real beauty no-no, and unfortunately quite a bit of it can be found amongst those unloved eyeshadows, lipsticks and concealers sitting at the bottom of your make up bag. If you’re in need of that extra push to say goodbye to some old favorites, use the hygiene card as your motivation to clean things up and invest in some new key pieces. As a guide, most products have a ‘use after opening’ number on them – this is how many months you should keep an item for before throwing it away. 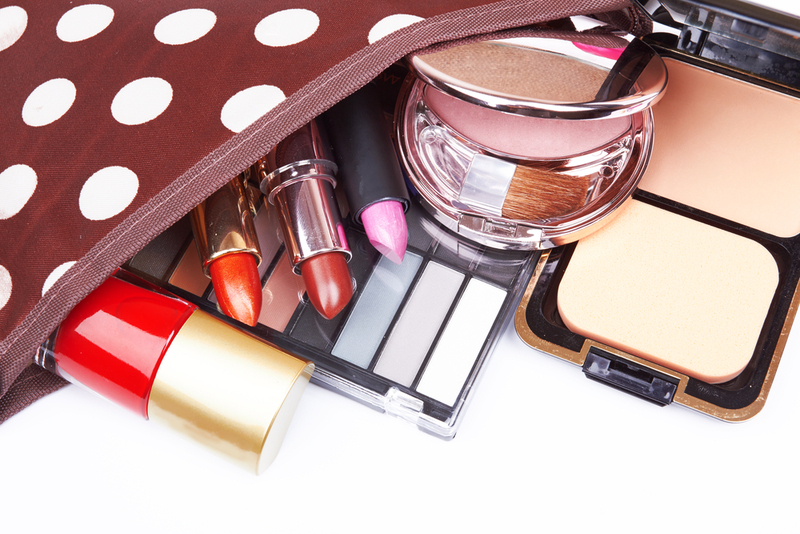 Before you start to freshen your make up collection, set yourself some guidelines and stick to them. For example, if you haven’t worn a particular beauty item for a good 12 months (and it’s not really your thing anymore), get rid of it. Those magazine freebies you thought you might try out that have been sitting in your bag forever? If you’re not going to use them soon, admit defeat and pass them along to a friend (provided they’re unopened and in date) and de-clutter your space. If your make up collection has got a little out of hand (no judgment – we’re all beauty junkies here!) then why not adopt a ‘one in, one out’ system for cleaning your make up bag? That way, you don’t have to commit to getting rid of lots of products at once…but for every new item you buy, you say goodbye to an old one. There are all kinds of fabulous new products each season, have fun freshening up your collection. And if you find something you love, but aren’t quite sure exactly how to best use it or get the look you’re after, come see us at either of our two locations – our makeup application starts at only $9!